SRP Pistons offer the racer the best possible products at very affordable prices. PitStopUSA.com offers a variety of Big Block Ford and Ford FE Forged Pistons from the biggest brands in drag racing including SRP Big Block Ford and Ford FE Forged Pistons and more at low everyday prices. Pit Stop USA is The Online High Performance Superstore! 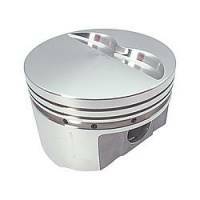 We feature Forged Pistons - Ford 4 Cylinder at low everyday prices. PitStopUSA.com offers a variety of Pontiac from the biggest brands in drag racing including SRP Pontiac and more at low everyday prices. PitStopUSA.com offers a variety of Small Block Mopar Forged Pistons from the biggest brands in drag racing including SRP Small Block Mopar Forged Pistons and more at low everyday prices. Pit Stop USA is The Online Motorsports Superstore! 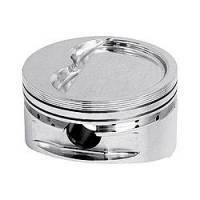 We feature Forged Pistons for Small Block Ford at low everyday prices. Check out the Recently Listed Piston and Ring Kits. Pit Stop USA is The Online Motorsports Superstore! SRP pistons are designed and manufactured using the same knowledge, expertise, and quality control that professionals rely on from JE Pistons. The materials and manufacturing processes that are specific to SRP pistons allow us to offer the best possible products at very affordable prices. The SRP line is comprised of over 400 different part numbers designed for a wide variety of the most popular domestic and import street-performance engines. SRP is also known as Sportsman Racing Products. We feature SRP Performance Forged Pistons at low everyday prices.